When it comes to productivity in real estate, sometimes the systems we can choose from are TOO much, and some are just not enough. Most can be very time consuming to set up and manage. If setting up complicated drip campaigns, email marketing, and extensive databases of contacts and details is just a tad too much, soon there may be a “just right” solution. Go Connect App is strictly a mobile app for agents that will provide a very fun, user-friendly design that organizes and manages, and in simple swipes you can get things done in your business. Uncomplicate your TO DO list, your action plans, your phone calls and your checklist. It’s your personal assistant, just for you, and your business. Just for real estate. 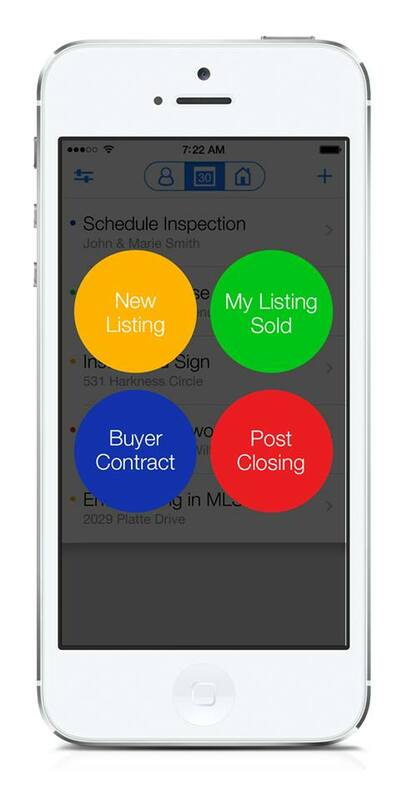 I had a chance to hang out with Zach Schabot, the founder of Go Connect and of Go Realty, a culture-based real estate brokerage in Cary, N.C. “We haven’t seen anything designed specifically for the mobile experience. Most CRMs or transaction management platforms are Web-based, heavy and clunky,” he said. “This is simple. We wanted to keep it simple so that agents can customize it, and we didn’t want to take up their valuable time by having a complicated setup,” he added. Developed in an open environment, with progress reports from Zach every Friday, agents have had input from the beginning in helping to design a unique experience. Currently in beta, the anticipation of this new app is growing, and soon will be available. You can get a sense of the culture that Go Realty is known for, and more importantly, a broker who is on the move with technology development of his own. We’re excited to see the launch, development and more exciting things in real estate from Zach Schabot.